Due to its clear forms the set appears very elegant. Extra large seats with perfectly matching cushions offer a high degree of seating comfort. The wicker is made of an innovative, wheather-resistant and durable special plastic which guarantees enduring quality. 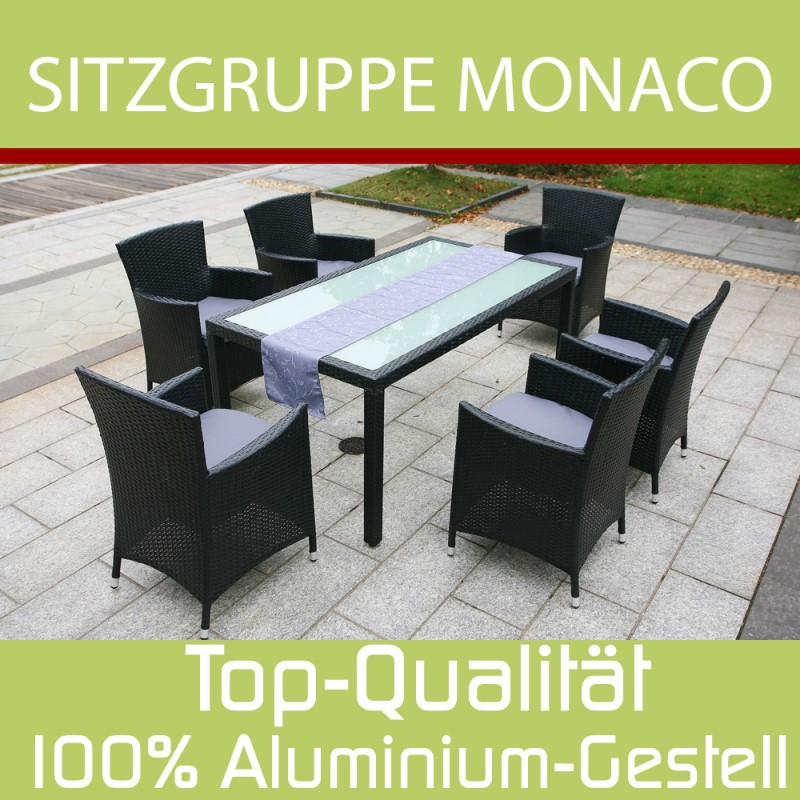 6 chairs ( 60 x 60 x 86 cm), 1 table (160 x 90 x 74 cm). Please find detailed information about shipping costs in the table below. All prices on this page are quoted inclusive of statutory value added tax and if appropriate plus shipping costs. We only deliver according to our standard business conditions (see link below). Please find instruction regarding revocation also in the link below.